Home » News and Stuff » Uncategorized » The Chocopocalypse makes the Front Pages Again! The Chocopocalypse makes the Front Pages Again! 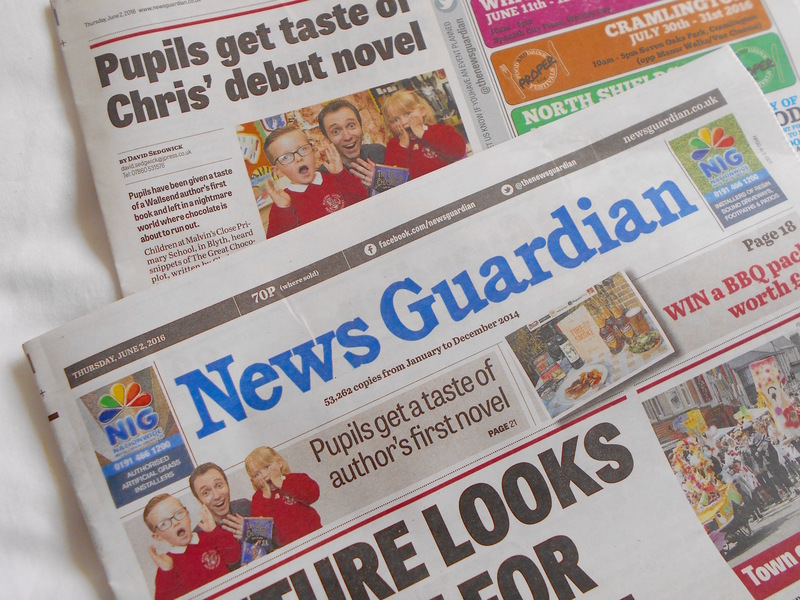 It’s always great to get a mention in the papers – children’s books are not covered as much as they should be. But to get onto the front page is a special treat. Delighted to make it onto the front of our local News Guardian on Tyneside. Click here to read the web version. I was even recognised in the street after this! I wonder if this is how David Walliams feels?